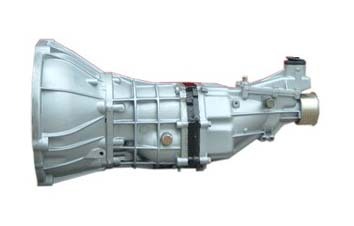 Gearboxes International Ltd (GBI) was established as Guaranteed Gearboxes in the early 70’s this sole owner operated business successfully grew to become not only a well known repair and reconditioning enterprise but as the importer and distributor of gearbox components. By the 80’s the face of the New Zealand car industry was fast changing as Jap imports began to flood the market and the old Marinas, Morris Minors and the like became history. Vehicles which today make up large percentage of manual units on the road. Today this company carries the widest range of reconditioned units in the country and/or can repair a unit at a very reasonable price. The sourcing of parts from reputable overseas companies has been cost effective as many gears if bought from the initial manufacture are so expensive would make repair work impossible. With over 30 years of experience Gearboxes International can ensure you a first class job at an ideal price and their written guarantee backs the quality of their work. Another diversification in the last ten years, which this company has embarked on and again to source goods of high quality but at an affordable price, has been into the marine industry. Under the name of Challenger Marine a wide range of propellers and other components are available under the well known Solas brand. The latest addition to the marine operation has been “The Fishing Torpedo” a fishing device for getting out beyond the breakers (sometimes called an Electric Kontiki). Although the Fishing Torpedo has only been on the market for two months is already proving to be very popular and like all other components of this market is at a very competitive price in relation to other products such as this already on the market. If its quality but affordability you are looking for Gearboxes International and Challenger Marine are two companies you must visit.